While parts of rural Tennessee languish with little or no broadband service, the state’s electric cooperatives are jumping to deliver internet access over fiber optic cables after the governor eased restrictions written into state law on rural co-ops offering public broadband service. After Gov. Bill Haslam (R) signed a bill in 2017 permitting not-for-profit electric co-ops to offer broadband service to their customer-members, at least seven of Tennessee’s 22 municipal co-ops almost immediately launched fiber to the home service projects that offer faster and more reliable service than many of the state’s phone companies that still offer DSL service (or nothing at all). Offering broadband service is a win-win for small communities and the co-ops that serve them, because existing infrastructure already in place to provide electric service can be augmented with fiber optic cables to deliver phone, television, and internet service as well. Co-ops can also use the fiber infrastructure to manage smart electricity grids, which can better detect outages and offer useful power management tools. 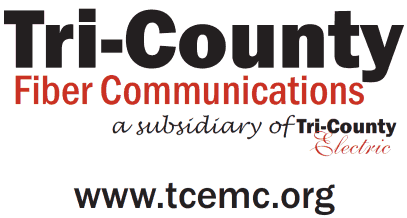 Tri-County Fiber Communications of Lafayette, Tenn., serves more than 50,000 customers in rural Tennessee and Kentucky. Its fiber project will serve part of its current service area and is enrolling customers now who want to commit themselves as future customers and avoid a $1,500 installation fee. SVEConnect, providing electric service since 1939, will offer customers in seven counties starting internet speeds of 200 Mbps and up to 1 Gbps in 2018, along with phone and television service. Gibson Connect, operated by the Gibson Electric Membership Corporation, offers service to 39,000 homes and businesses in eight west Tennessee counties (Crockett, Dyer, Gibson, Haywood, Lake, Lauderdale, Obion and Madison) and four west Kentucky counties (Carlisle, Fulton, Graves and Hickman). Fiber broadband is planned to roll out gradually in many of these areas, and the co-op has already signed up 6,000 customers before service is even available. Gibson Connect will sell 100 Mbps internet for $49.95 and 1,000 Mbps service for $69.95 a month. Some customers in its service area are already served by other providers, but Gibson promises faster speeds, no data caps, and more affordable pricing. 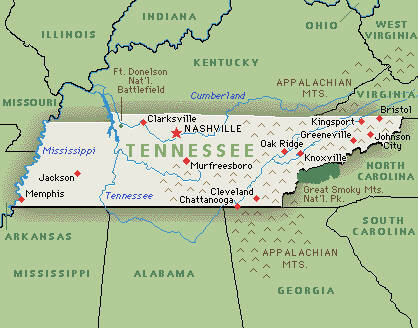 The conservative and industry-backed groups that coordinated with the telecom industry to push Tennessee to pass restrictive laws effectively banning municipal or public broadband competition are grudgingly tolerating co-ops entering the broadband marketplace, as long as they only service areas where they won’t compete with an established phone or cable company. They also must remain within their electric service area. Those opposed to public broadband claim the networks offer unfair competition because they often receive subsidies or grants. But many municipalities are doubly frustrated because the same companies that are lobbying to keep them out of the broadband business also refuse to provide service in their towns and villages. Many communities are too small or sparsely populated to provide enough Return On Investment (ROI) to entice those providers to expand, they add. Despite the flourishing of fiber-fast broadband in areas served by co-ops, other parts of Tennessee remain broadband dead zones because the current state law continues to frustrate local communities trying to build financially feasible broadband projects that have a chance of breaking even. Tennessee’s Rep. Marsha Blackburn, who is running for a Senate seat this year, is notoriously one of the country’s biggest allies of AT&T, Comcast, and other telecom companies and favors keeping public broadband in shackles. She is also among the top recipients of campaign contributions from the telecom industry.